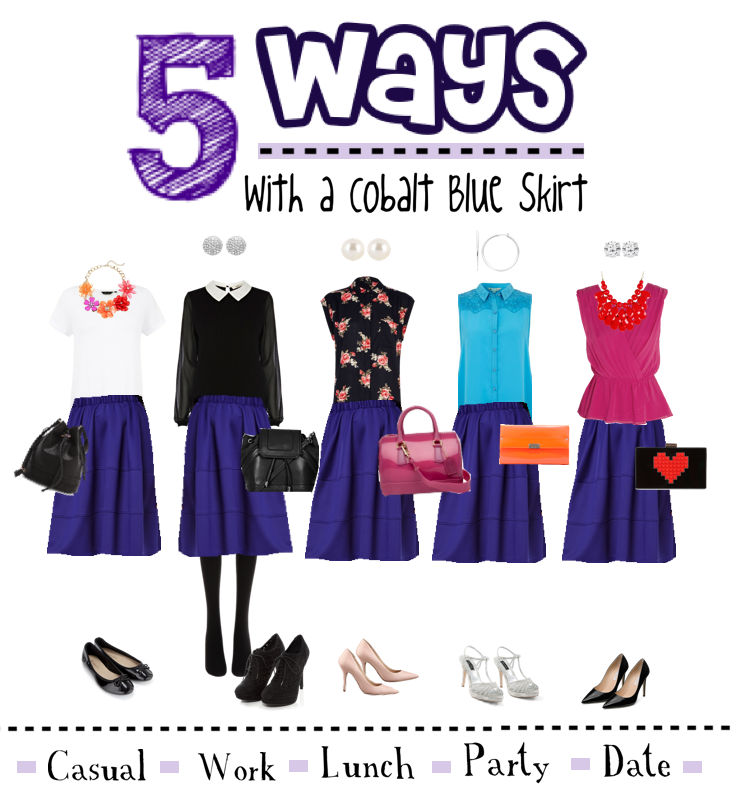 Are you in love with cobalt blue too? Which is your favourite look? 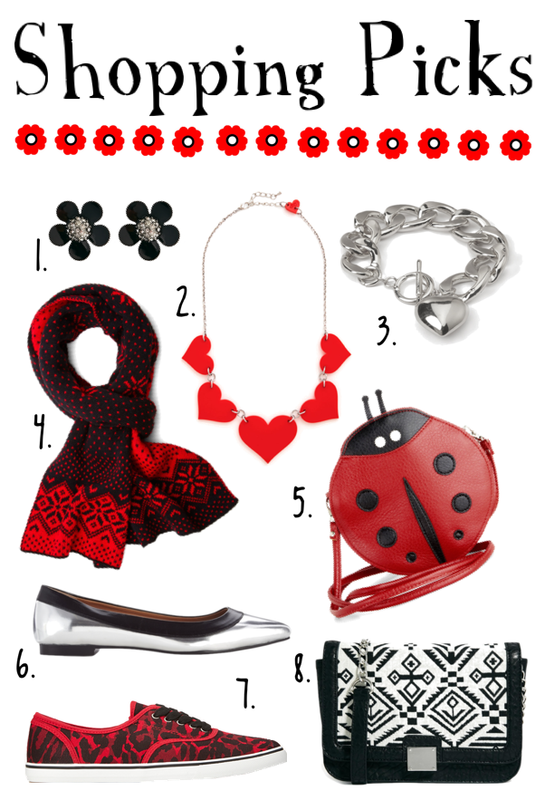 A few cute things for the week, how lovely in the lady bug bag! I did a bit a shopping this week and noticed that Katies had some new Jewellery in – only a few pieces, but there were a couple of definite standouts. 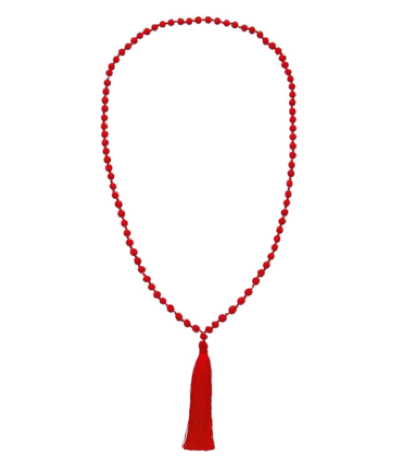 This red tassel necklace was one of them (they also have it in a cobalt blue which is equally as gorgeous). A pure red necklace is something that I don’t actually own and, of course, something that I would really love to have. The only thing that stopped me from buying this one yesterday was that I was worried it would be a little too long for me. I generally prefer shorter necklaces and I wasn’t exactly sure how I would go about altering this one. Anyway, I thought I’d have a go styling it while I thought about it. I think it’s really pretty though. I love it especially with the pink and orange in the party/date looks. I actually think it might work fairly well doubled over too. I’ve tried finding a nice red necklace that’s internationally available with little luck yet. If your interested in one you can always try Shop Style, The Find,or Amazon. Which is look is your favourite? 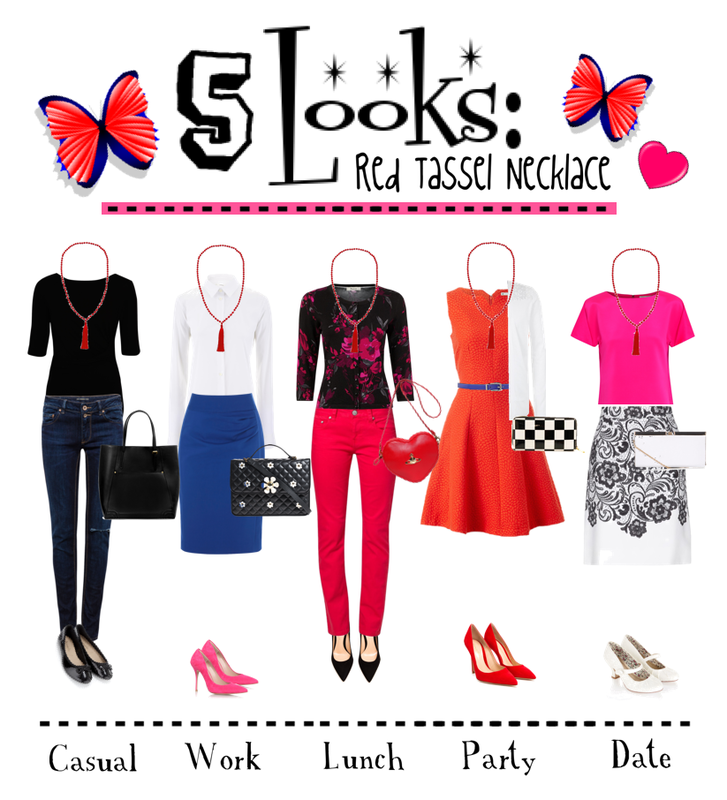 How do you wear a red necklace? 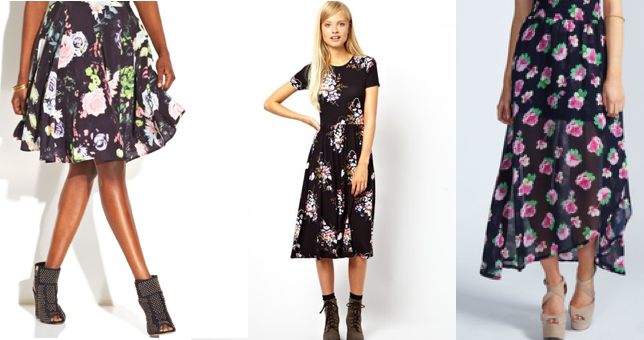 I’m seeing Dark Florals everywhere this season. I think they are so pretty and I actually have quite a number of them that I’ve collected from previous years. 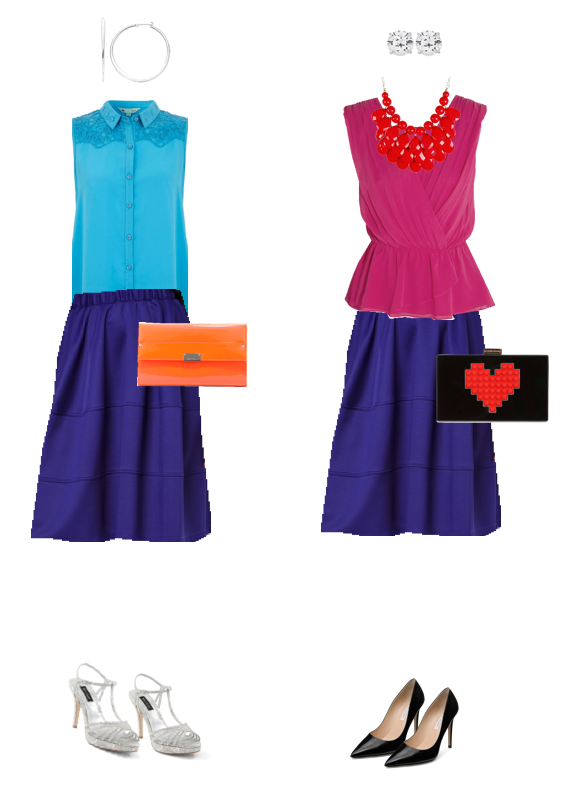 Anyway, I found a few items I really liked this week so I thought I’d share them here. I love the cardigans especially, the third one is my absolute favourite. I love brightly coloured anything so it’s no surprise that I love brightly coloured shoes too. I came across these gorgeous cobalt blue ones from ASOS during the week and as I currently don’t have anything quite like it, I thought I’d have a go at styling them. 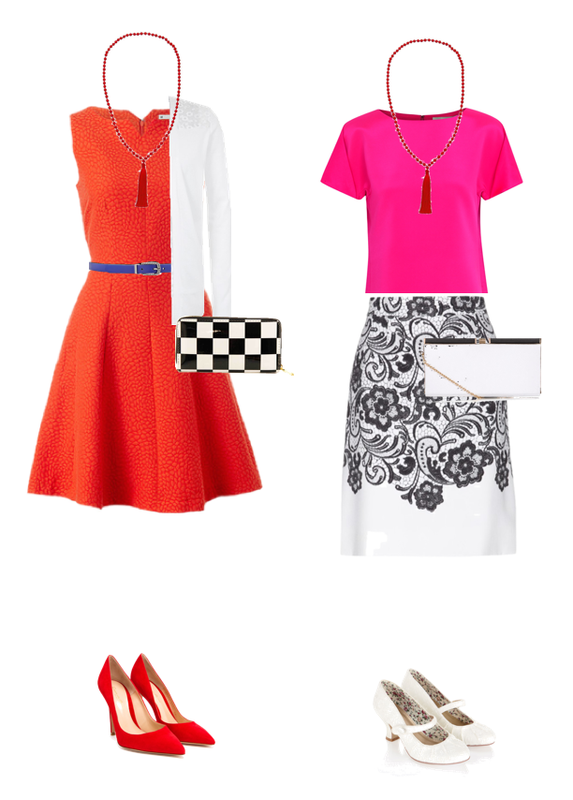 I found that, because the shoes were such a bold colour, it was best to keep the rest of the outfits pretty simple. I think they look particularly great with the skinny jeans – looks 2 and 5 are probably my favourite overall – I love them with the lighter blues and purple too though. What do you think? What do you think of the looks? 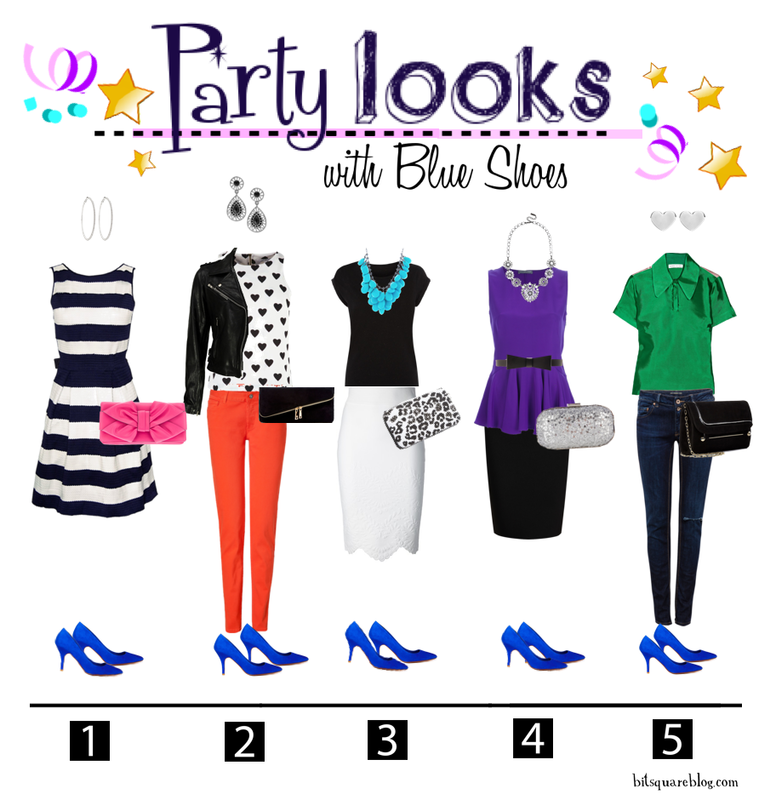 How would you style a blue pair of pumps? 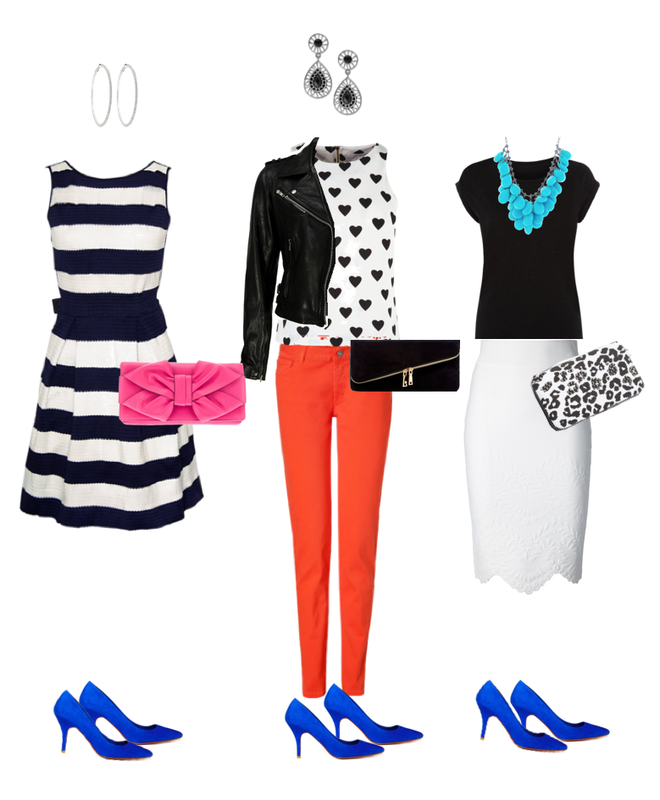 (I choose these items from the Polyvore vaults purely as examples of styling. Most should be available for purchase if your interested but they are not necessarily intended as shopping recommendations by me).